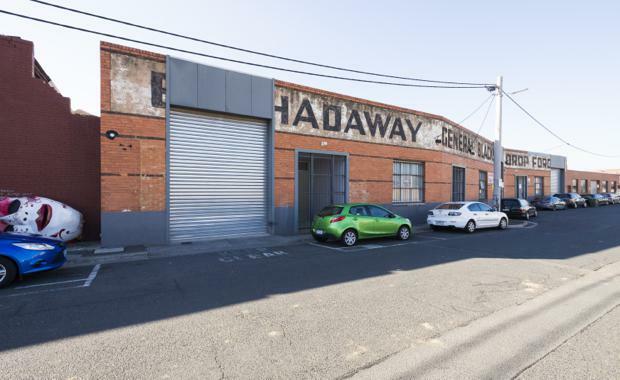 A Richmond site has set a new precedent for unpermitted development properties in the inner city area, after selling for $1,955,000 million to a local investor - $355,000 above reserve. The property, located at 17 David Street, comprises a 465sqm site and features high quality warehouse improvements, and prime location near popular amenities including Victoria Gardens Shopping Centre, public transport facilities and local retail and restaurant precincts. The site further boasts flexible mixed use zoning within a rapidly growing and evolving precinct, which provides strong future development potential. Julian White, Chao Zhang and Scott Orchard of CBRE negotiated the sale via a public onsite auction. Mr White said the site received strong interest from both local and offshore developers, despite the properties lack of certainty for height potential. Mr Zhang added: “The auction kicked off strong with the first bid immediately placing the property ‘on-market’, providing a clear example of the seriousness and depth of the buyer pool in the current market."